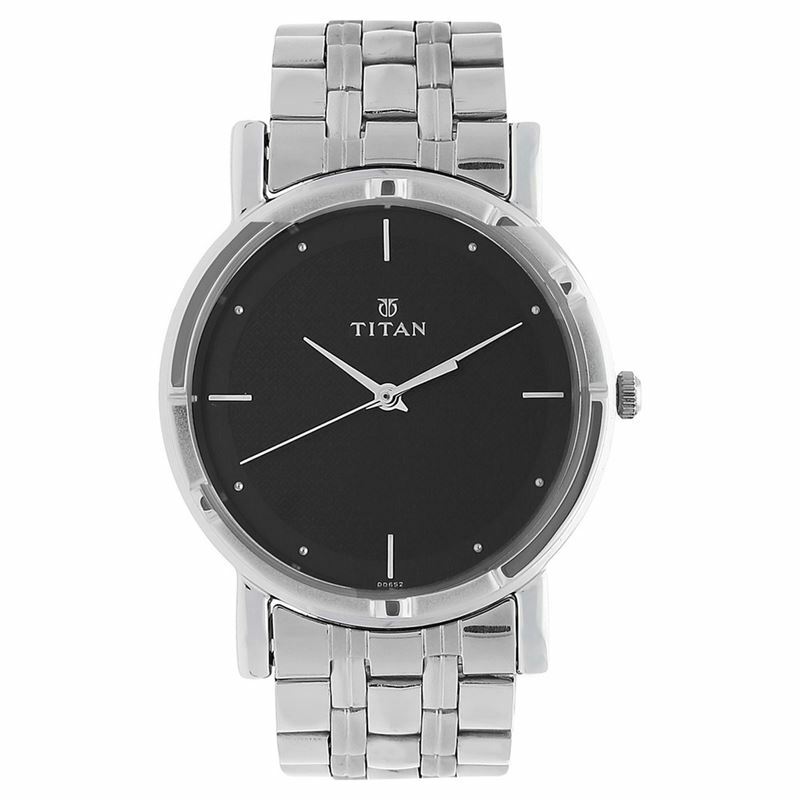 Titan offers this silver coloured analog watch that will work well to add style and class to your look. Featuring a round dial and a trendy strap, this timepiece will become one of your favourites in no time. Crafted from stainless steel, this 50 m water-resistant watch has an amazing finish and is durable as well.